If you are getting ready to buy a home in Telluride, or you already do and are looking for a great way to connect with locals and other homeowners, consider a membership to the private Telluride Ski & Golf Club. 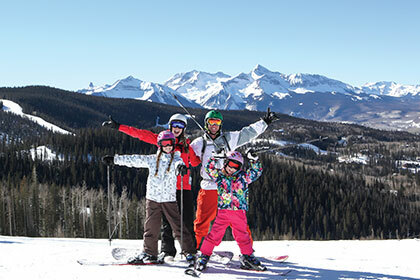 The club has over 400 members and is run by Telluride Ski & Golf Resort. The Club offers some incredible social events and amazing value for members in both the summer and winter seasons. Member benefits include two private clubhouses with lockers, showers, complimentary coffee and pastries. There is spa access and privileges at the Peaks Resort & Spa. First Light Friday skiing and amazing golf benefits. Please contact me for additional information and discussion on the Telluride Ski & Golf Club. To stay informed, check out my website at www.telluriderealestates.com and Like my Facebook page at Telluride Real Estate News. How can I assist you today?